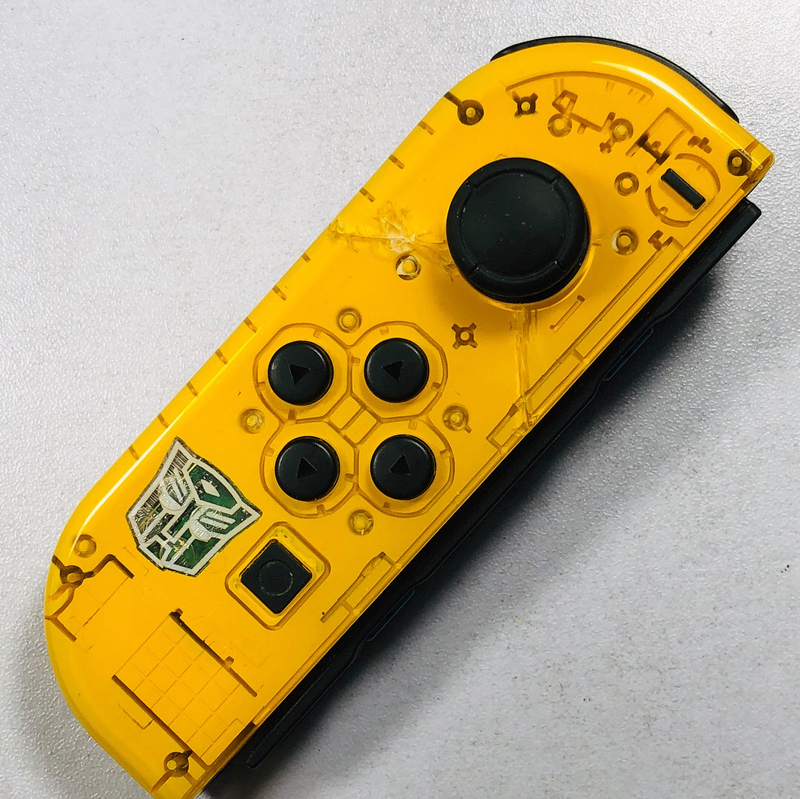 So I created my own custom left Joy-con with the help of some Tamiya paint, my airbrush and some stickers I had left over from Toyhax.com. 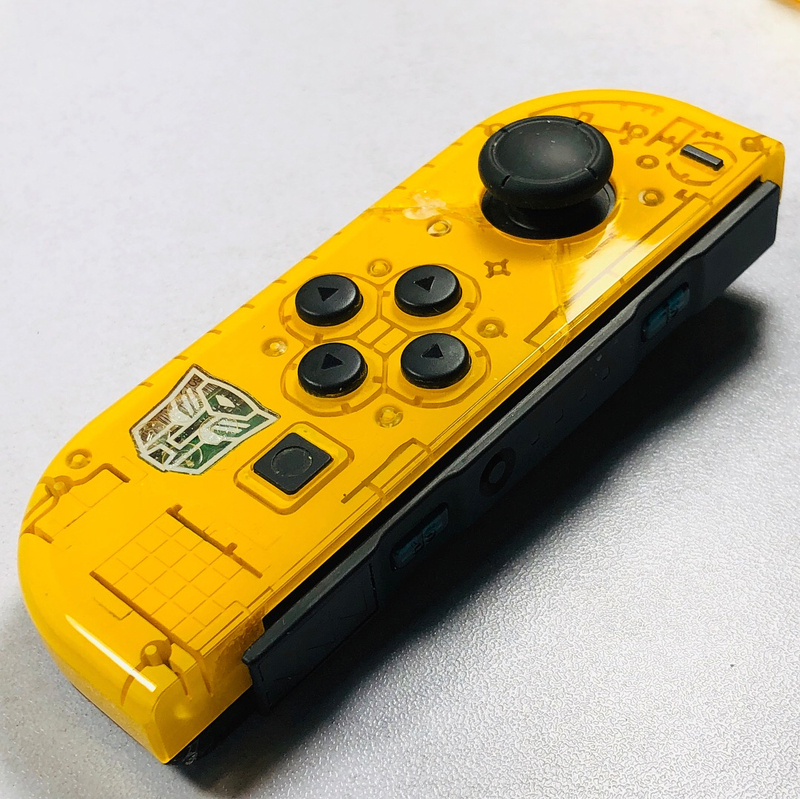 The result was a left Yellow and Black BumbleBee Joy-con. 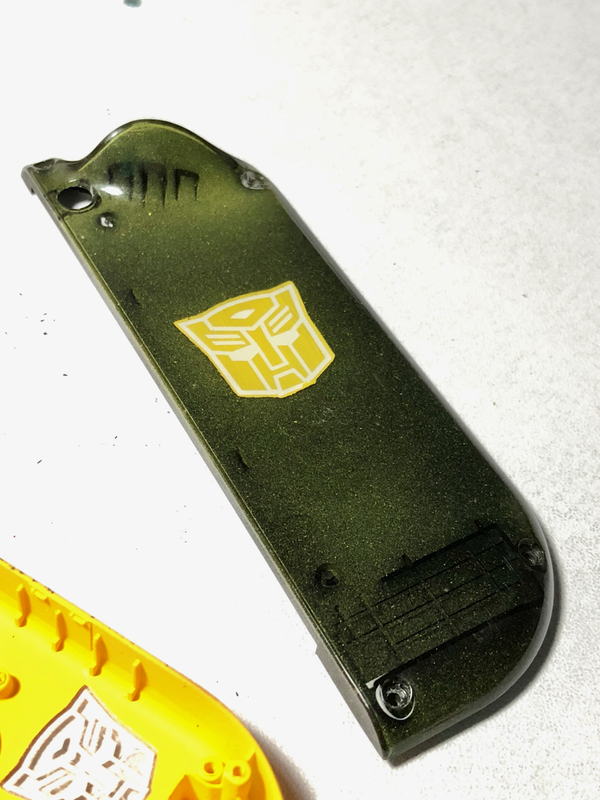 I airbrushed the inside of a 3rd Party clear shell yellow and then the back very faint yellow and black with Autobot symbols from Toyhax. 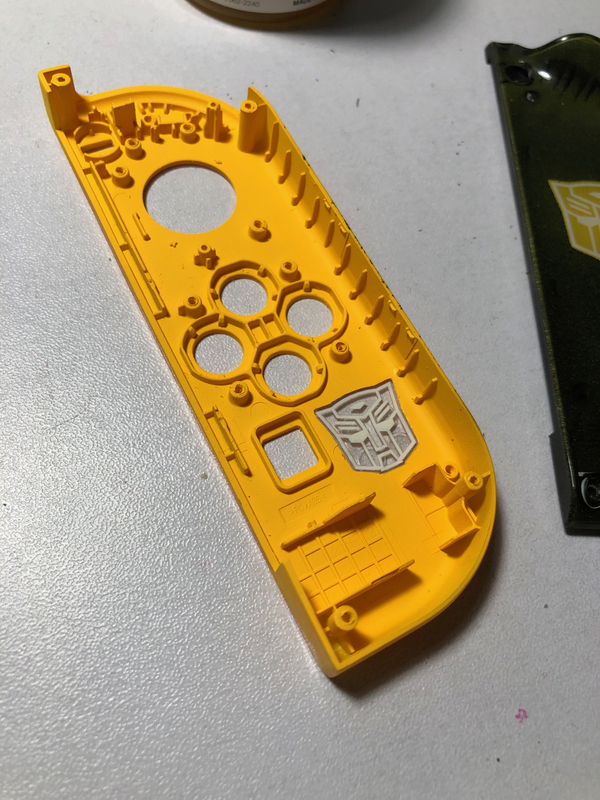 After I assembled them, I began doing some quick checks and tightening a few screws here and there. I then heard a crack and accidentally cracked the front…turns out I overtightened a few screws inside. A mistake that I will not make again. 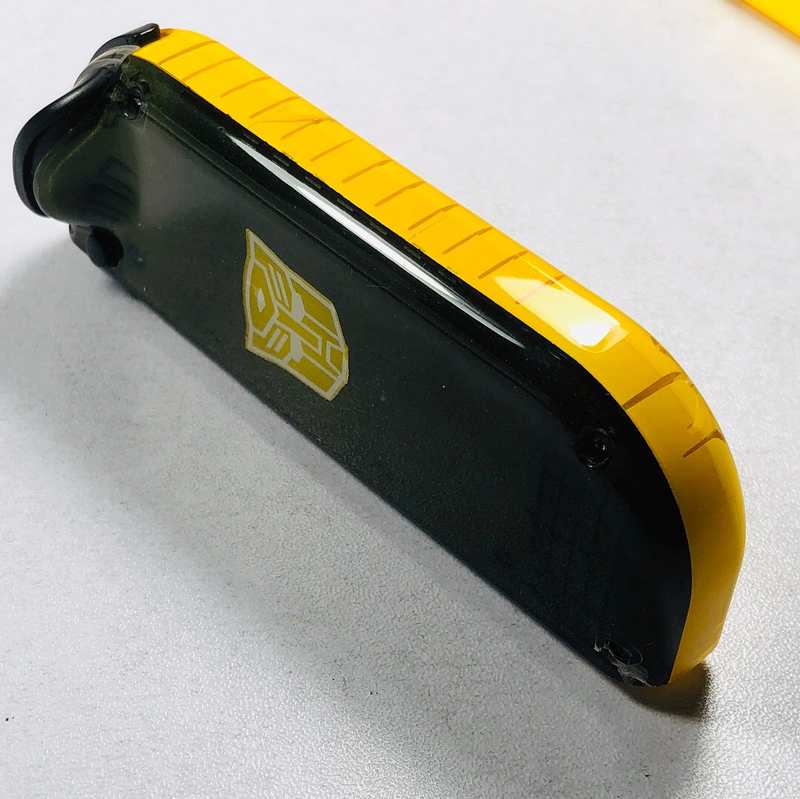 Want to do this more and thinking since there are two Joy-cons, I might do some of my favorite Conjunx Endura couples from the IDW Transformers comics! Chromedome and Rewind, Cyclonus and Tailgate, Anode and Lug, and Nautica and Skids to name a few. Also everyone’s favorite Co-Captains, Rodimus and Megatron. Might put these up for sale as well if anyone is interested. 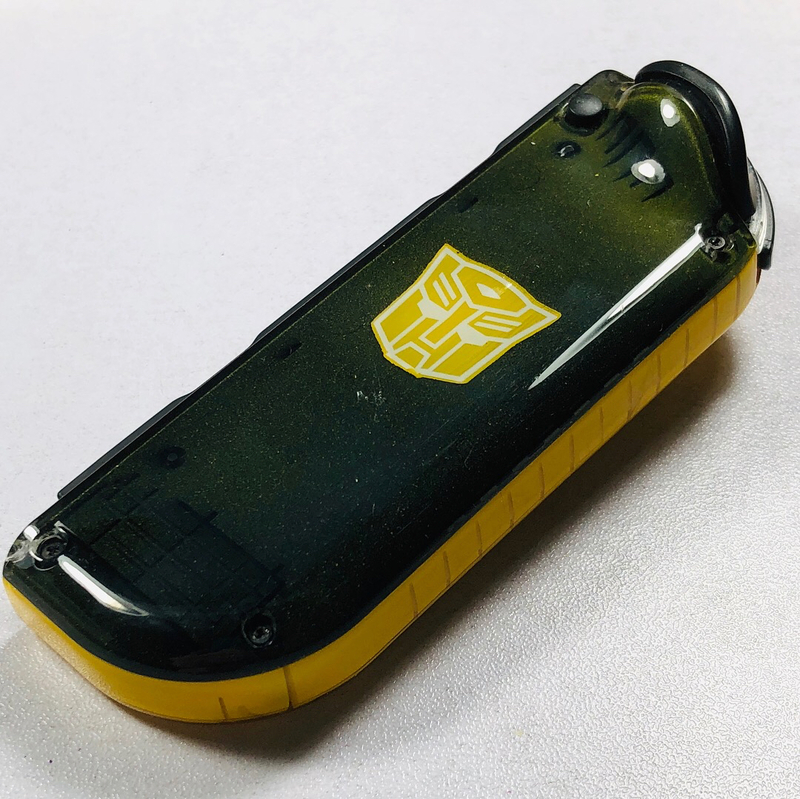 You can check out the screenshots and video below for me explaining a few things about them while I reassemble it. Previous story New Perfect Grade to be Announced at All Japan Model and Hobby Show!